OTTAWA, Ontario – March 17, 2015. Nominations for the 2015 Electric Vehicle Dealership Awards are open, and the Canadian Electricity Association (CEA) and Plug’n Drive are encouraging dealerships in Canada selling electric vehicles (EVs) to self-nominate for these one-of-a-kind awards. The 2015 Electric Vehicle Dealership Awards Program includes three award categories for leadership in EV sales: Leading Battery Electric Vehicle (BEV) Dealership Award, Leading Plug-In Hybrid Electric Vehicle (PHEV) Dealership Award, and the EV Dealership Inspiration Award. Dealerships in Canada selling EVs are eligible to win as many as two of three 2015 awards. 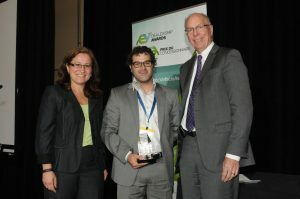 In addition to the award, winners will also be featured on partner and sponsor websites and social media channels, which include the Canadian Electricity Association, Plug’n Drive, Electric Mobility Canada, and the Canadian Automobile Association. “CAA is pleased to celebrate dealerships that are driving innovation and educating Canadians about the benefits of choosing an electric vehicle,” said Ian Jack, Managing Director of Communications and Government Relations at the Canadian Automobile Association (CAA). The 2015 nomination package is available at www.electricvehicleawards.ca. Nominations close on April 17, 2015. The 2015 EV Dealership Award winners will be announced at the EV2015VÉ Electric Vehicles Conference and Trade Show in Halifax May 25-27, 2015. 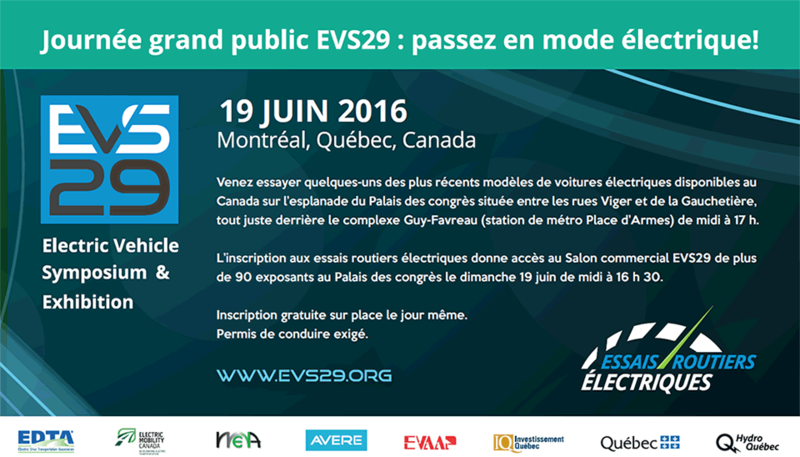 EV2015VÉ is Canada’s biggest electric vehicle event held annually by Electric Mobility Canada, the hosting sponsor of the Awards program. Click here to download the PDF of this News Release.